Happy Holidays from Santa Claus or is it Erik Maldre? or is it Santa Claus? or is it Erik Maldre? resulting in a unique image for each print. 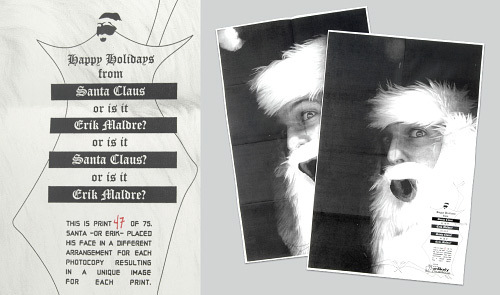 I was a bit tired after photocopying my face 75 times while wearing a Santa beard and hat.